Louise makes a strong case for Bows with her Poison kit, Strength Doublebuff and Overdrive Punisher. 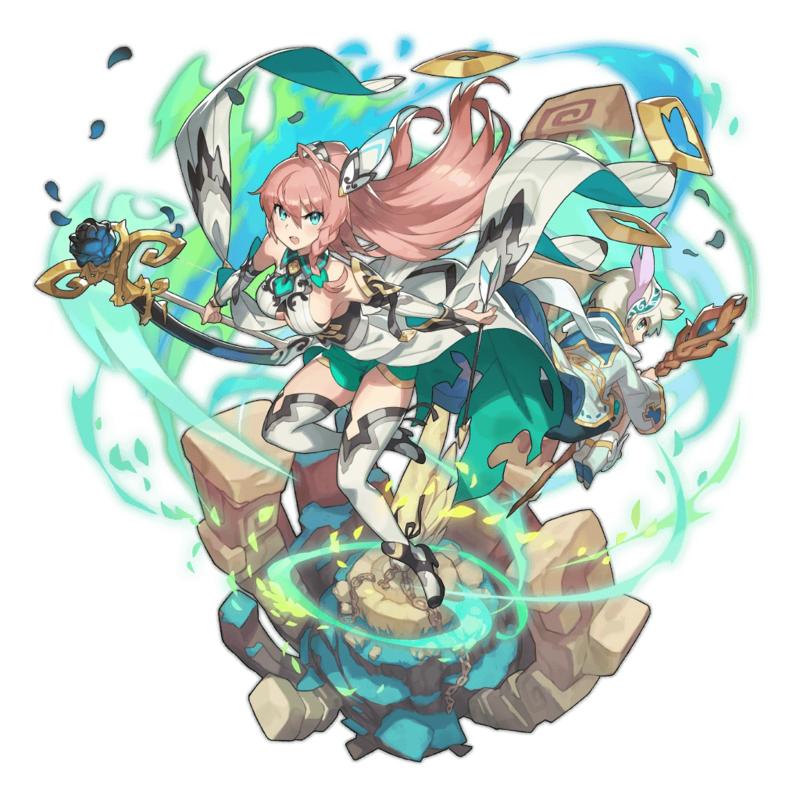 She stands above Bow users who rely on HP thresholds and synergizes well with Wind Adventurers such as Aeleen and Eleonora. A girl who came to the castle with her brother Lowen, she handles everything from housework to battle with grace. She can be overprotective of her younger brother, but that's only a side effect of her courageous and generous spirit. Louise is a 5★ Wind Bow user who forgoes Force Strikes in favor of Poison chip damage. Sound familiar? But unlike Eleonora-- who is built around the Affliction-- the Doting Sister uses Poison as part of a well-rounded kit. Overdrive Punisher shortens the amount of time bosses spend launching frequent attacks, while Strength Doublebuff brings her offense up to par with the strongest ranged attackers. She won’t be doing flashy burst damage, but steady ranged attacks provide a solid foundation for frontliners. Being free of the Full HP Abilities characteristic of Maribelle and Eleonora, Louise remains powerful even when things get tough. Overdrive Punisher also has universal utility for taking down bosses in all content. Thanks to a ranged weapon type and Bog Res, Louise can freely dodge while spamming basic attacks and interwoven Skills. Louise does her best with the right teammates: Lowen and Aeleen activate Strength Doublebuff while Eleonora, Musashi, and Addis are helpful for increasing Poison uptime. Separated from them though, she’ll have trouble competing with the damage of other ranged Adventurers. Although Bows are great at sustained DPS, Louise’s kit and weapon class aren’t fit for bursting bosses during the Break State. Zephyr - The ideal pick for Wind DPS, boasting a 40-60% Strength and AOE stun. Roc - Though she lags behind Zephyr in raw numbers, Roc’s availability means a 30-45% Strength boost is more realistic. High Midgardsormr - Provides a hybrid approach with decent Strength. Tsumuji - The budget Strength dragon. Deals wind damage to enemies in a line. Poisoned foes take extra damage. Increases damage to enemies in overdrive state by 10%. Increases damage to enemies in overdrive state by 13%. Increases strength by 10% for 15 seconds each time a defense up buff is received. Increases strength by 13% for 15 seconds each time a defense up buff is received.